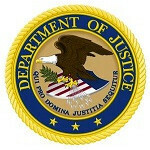 The Justice Department along with the FBI and the Department of Homeland Security have asked the FCC to defer action (delay any decision) while the two agencies examine if there are any “national security, law enforcement, and public safety issues” that might arise from the merger of the US’s number four and number five largest carriers. This is a pretty standard move, and it follows requests for information that DOJ already sent to MetroPCS regarding the merger. The FCC is one month into a 180-day clock to give the thumbs-up or thumbs-down on this merger. While not as potentially “anti-competitive” as what AT&T’s acquisition may have created, T-Mobile USA is owned by Deutsche Telekom (DT). DT would still hold a 74% stake following the merger with MetroPCS. DT is 15% directly owned by the German government, and another 17% is owned by federal states of Germany. The United States traditionally pays close scrutiny to situations where foreign governments may have direct ownership over what may be considered critical infrastructure (telecommunications is considered critical). However, since T-Mobile USA has been operating effectively with no apparent issues stemming from Germany’s ownership of its parent company, that is likely not to be an issue in this examination either. Once the merger is complete, T-Mobile USA has already stated the broad strokes of the plan the new company would pursue. Really want to see the merge happen. The practice really has nothing to do with allies or not. It has to do with the potential of direct control by a foreign government. Since T-Mobile USA is not also a telephone company or Tier 1 ISP, there will not be much concern generated...unless the FBI or DOJ find something funky. ok t mobile and metro,.work your magic!